Jazz/fusion/funk keyboardist, composer, arranger and band leader based in New York City. Holzman was co-founder (along with guitarist Ted Hall) of the seminal Los Angeles jazz/rock group The Fents, and former band member and musical director for jazz great Miles Davis. After playing with Davis, Holzman went on to tour and record with musicians including Chaka Khan, French pianist Michel Petrucciani, and saxophonists Wayne Shorter and Kenny Garrett, who had also been a member of Davis' bands in the late '80s. After playing with Davis, Holzman went on to tour and record with musicians including Chaka Khan, French pianist Michel Petrucciani, and saxophonists Wayne Shorter and Kenny Garrett, who had also been a member of Davis' bands in the late '80s. In the spring of 1997, Holzman joined Grover Washington Jr.'s band. By the late '90s, he was also playing with FM Tribe and Francis M'Bappe. Currently he performs and records with his band, Brave New World. 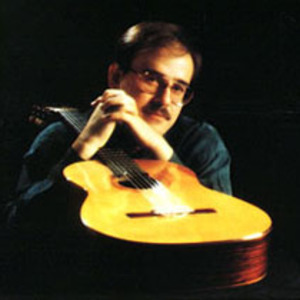 Adam Holzman is also the name of a classical guitarist, recording artist, concert performer, soloist and educator born in New York City in 1960. See www.adamholzman.net for more information.